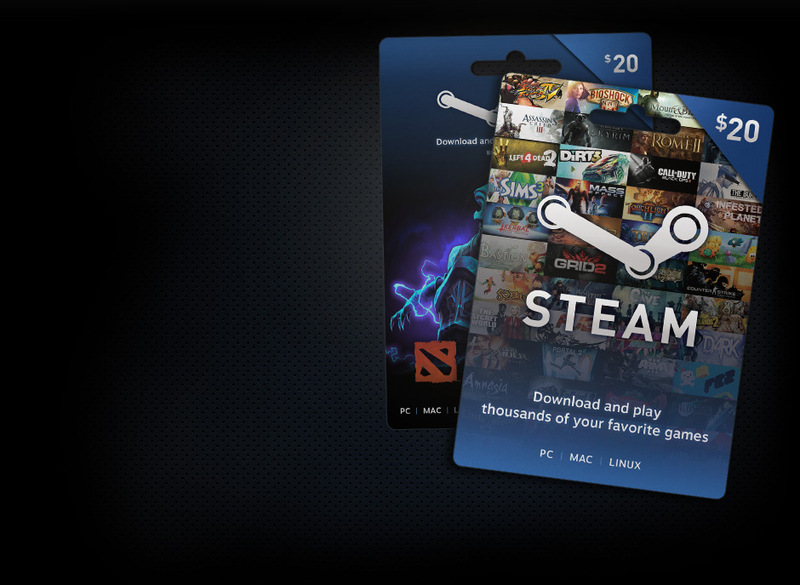 Valve launched Steam Wallet Gift in GameStop. Redeem it! You can buy anything on Steam with Steam Wallet. I bet blinxfrost will happy. lol. Graphics Card:AMD Radeon HD 6750M 1024 MB, also Intel HD Graphics 3000 512 MB. View my ports! <--- Orcs Must Die, Payday, Fallout, I Wanna Be The Guy, and more! How to use a Wineskin wrapper! What's the point of the steam card when the code for the money is on your receipt ? Uh, That steam wallet card do have money. It's same as Xbox Live Point Card, iTunes Gift Card, and etc. Read the steam description ... It says the code is not printed on the card .... its printed on your Game stop receipt when you buy the card . Read the steam description... It says the code is not printed on the card.... its printed on your Game stop receipt when you buy the card :D .
PS I uses my own credit card. I'm not interested into EBgames and GameStop. Sound like my mom. She never trust any shopping online. I see. That's why you like retail discs. I know it's your opinion. Do you like Minecraft, right? You don't buy Minecraft from minecraft.net online. You downloaded MinecraftSP crack, right? I saw your screenshot. :P Yeah, yeah. I know you said you never provide your credit card info on any shopping online. It's your opinion. I know it, bro. I don't trust PayPal and PSN. Do you remember PSN got hacked by Anonymous group? I trusted Steam and Amazon many years... I don't worry about them. I loved them much too because they are very safe and useful always. I bought 60 games from Steam Store because I will become PC games collector. EBgames is really garbage because they don't selling more PC games/retail disc because of Steam, Amazon, Origin, and GFWL Store. Steam is better than EBgames. I supports Steam! It's my opinion. Btw, If you have own any retail discs with steam installer... You can crack it with revloader simple. ~Solved problem, bro.